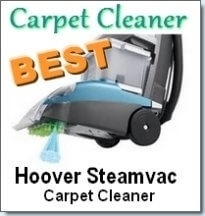 Want to know about the best carpet cleaning solutions available? We look at carpet cleaning solutions for cleaning pet stains using vinegar, green and natural methods, commercial solutions as well as professional and brand names. Keeping those carpets clean can be a full time job. However, with smart cleaning, you can make this job a whole lot easier. 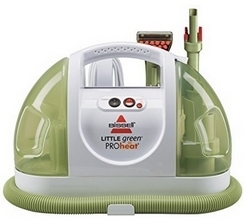 We usually pay a lot of attention to the type, brand and quality of our vacuum cleaner or steam cleaner. 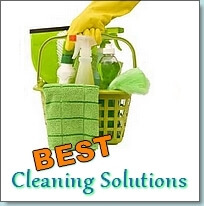 It is just as important to pay attention to the type of cleaning solution that you put into it. These cleaning solutions do all the “heavy lifting” and are responsible for lifting dirt and grime out of your carpets. If your carpets are subject to constant stains and spills, investing in a good quality carpet solution is essential. In this review, we will first look at particular brands of carpet cleaner solutions and their consumer ratings before moving on to other types of cleaning solutions. This will help you to choose the best one for your home. This detergent can be used with any of Hoover’s deep clean machines and works extremely well to clean both your carpets and upholstery. It removes spots, stains, mold and dirt with ease. Customers who reported that they found very little difference between the different types of the cheaper Hoover Cleaner Solutions and wanted more that a general ‘good enough’ cleaner sang the praises of this cleaner. It is definitely the dependable Hoover solution we all know and trust but it is truly on steroids. It is a bit more expensive but it is worth the price. Make sure that you have a ‘fresh’ supply as some customers complained that it doesn’t have a good shelf live. It is ideal for puppy training as it will completely remove urine smells and you fur baby won’t be able to go back to it’s favorite wee spot as the smell will be gone. For the best results follow the instructions on the back of the bottle and prepare to be amazed with the cleanliness of your carpets. This is a powerhouse cleaner in a small bottle at an affordable price tag at around $10. It is a low foaming concentrate that is excellent for use on automobiles, carpets as well as your upholstery. 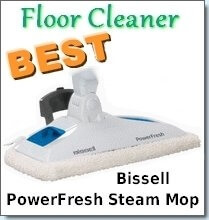 Take note that is meant for spot cleaning and will work best with Bissell Spot Cleaning machines such as the Little Green 1400B, Little Green ProHeat 14259, SpotBot Pet 33N8A, SpotBot Pet 33N8, SpotClean 5207A, SpotClean Anywhere 97491, SpotLifter 1716B, SpotLifter 1719 or the SpotClean Auto 7786A. It has a light fresh scent which is never overpowering. Consumers loved that it worked great on removing stains and that it works great for removing pet and food stains in a hurry. Tip: the secret to removing urine pet smell that just won’t go away is to clean the area twice with this detergent. It seems a simple thing to do but many costumers reported that stubborn smells and stains got out on the second pass. If you are at your wits end and ready to give up and throw out your much used and loved carpet you need to give Bubba’s cleaner a try. It is great at taking care of old pet’s urine smells and stains. Need I say more? I’ve always felt that a cleaner that can take care of old pet stains will be able to take care of most anything and this cleaner didn’t disappoint when put to the test. It isn’t a miracle worker but it will do more than most cleaners and that is a lot in my book. Customers love how effective it is at cleaning but some did report that it had a strong cleaning detergent smell as they used it but that the smell lessened as the carpet dried. It isn’t cheap but you don’t need to use a lot as it is very concentrated. Click here to have a closer look. Sometimes it happens that you just can’t find a cleaning solution that will do specifically what you need it do or produce the results that you need. This is the time to make your own. 1. Start by saturating the stain or dirty area with Nature’s Miracle Stain & Odor Remover. Work it into the carpet with a brush or a rag. 2. Spray with OxiClean and repeat step one by working it into the carpet with a brush or rag. 3. Clean your carpet with a weaker than prescribed solution of a carpet cleaning solution of your choice. Make sure that you rinse the area several times to remove all the solution. Let it dry and enjoy the results. I’ve used this mix on hard to clean areas in my own home and it really works! Yes, it takes a bit of elbow grease on your part but it is well worth the effort. With more and more people becoming aware of the negative effect of chemical cleaners, there is a much greater demand for green solutions. 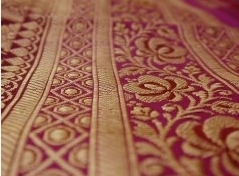 These use mostly natural and organic products which are great for your carpets, your family and the planet. This is the ultimate in environmentally friendly cleaning as this cleaning solution is non-toxic, biodegradable, formulated without VOCs, have no fragrance or color, is non-flammable and won’t harm pollute or harm nature. It works surprising well, is well priced and is so concentrated that some customers complained about it! Well worth a try. This new carpet cleaner is currently being sold through Daimer, a well trusted brand in the cleaning industry. This is a certified, Biodegradable product that has been made by ingredients derived from plants and vegetables. It also has a Micro Blasting technology which features nano particles which are capable of penetrating and breaking apart tough stains. 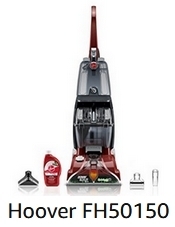 It works by crystallizing the dirt and grime which you can then vacuum without any sticky or wet residues. This solution can be used with a wide variety of steam cleaners and extraction equipment. You don’t have to always buy carpet cleaners; we have many household products lying around that would do a great, if not better job at cleaning your carpets. • Vinegar + Water. Use 1 part vinegar to 10 parts water. 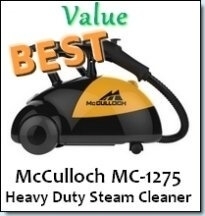 This is an excellent home made steam cleaner solution recipe. It is great for spot cleaning your carpets. • 3 teaspoons non moisturizing dishwasher liquid + ¼ cup ammonia + ¼ cup vinegar + few gallons of water = Great custom carpet cleaner! • Do you have a problem with carpet odors? Then you can try this easy recipe: 1 scoop Oxiclean + 1 cup Fabreeze + recommended amount of hot water = Kills odors and cleans great.